CARLSBAD, CA � In our never-ending search for golfing perfection, it seems we�re constantly looking to fine-tune our performance. In this pursuit, you might be trying to discover that elusive �secret� through taking lessons, testing the latest swing aid from the Golf Channel, or studying video of the game�s greatest players. Luckily for the vast majority of us who�ll never duplicate Tiger Woods� hip turn frame-for-frame, there�s modern technology to help out in the fine-tuning mission. The various golf equipment manufacturers invested millions into perfecting just about everything that goes into golf clubs or balls, all in the hope of providing just a bit of additional performance that�ll tip the balance in favor of the golfer over the golf course. 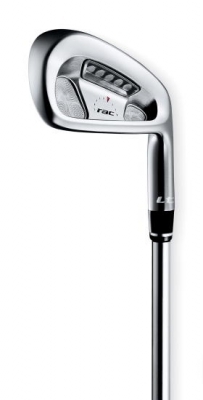 One of those breakthroughs is the Taylor Made RAC irons. RAC (which stands for Relative Amplitude Coefficient) technology adds that little smidgen of extra feedback to your golf game, allowing for greater strides in your eternal quest for golfing nirvana. Never really having thought about it, there are certainly things you can learn from how a shot sounds � though for us average players, it�s more from the horrible resonance of a shanked shot that�s usually provided the feedback. When that happens, you know something�s not right. In other words, compare it to the different feedback you�ll get from a symphony orchestra versus a punk rock band. The former includes a diverse selection of instruments, producing soft, subtle sounds to the discerning ear, perhaps to be enjoyed over brie and fine wine. The latter offers the crashing noises of guitars, an electric bass and drums -- all with amplifiers, geared towards the individual seeking oblivion, definitely to be ingested while scarfing Burger King and a twelve-pack of Pabst Blue Ribbon. Now I get it. Sound�s the answer. �The HT has a very wide sole, intended for players who generally don�t take divots � players with slower club head speeds � to get the ball up the easiest and provide the most spin on the golf ball,� Moody explained. Spin being necessary to get the ball airborne. These days, it�s a joint effort between the club and ball to provide that �lift� on your golf ball, with the more spin helping the slower speed players get the ball up higher (for more distance), and balls with less spin helping to control the horizontal movement for the higher speed, longer hitting folks. Taylor Made took that into account, designing the LT and OS models for potential use on the professional tours, while the spin generating HT will be more popular for your member-guest level golfers. One thing all three models have in common is a Tuned Performance Cartridge, found in the back cavity of each RAC iron. It�s designed to remove weight from the center portion of the head and redistribute it on the perimeter, thus providing the �forgiving� qualities of perimeter weighting. �Though our RAC irons are forged, the Tuned Performance Cartridge gives them the forgiveness qualities of popular cast clubs. Even the LT, which has the smallest club head and is the least forgiving of the RAC models � it�s still extremely forgiving, and compares favorably in that category with the Callaway X16 Pro Series, some of the Hogan irons or the Ping i3 blade. It�s very forgiving on off-center hits, which we�re very pleased with,� Moody added. The weight of the cartridge varies with the different models, though the principle�s the same � high performance with outstanding forgiveness. Not to be overlooked is the appearance of the RAC irons. Simply stated, the polished chrome appearances catches glances from your playing partners, and compliments from the club staff. 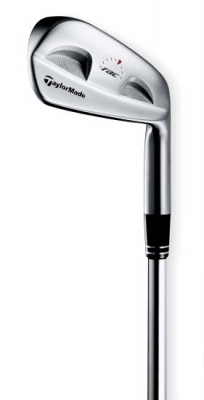 Probably the best looking set of irons I�ve ever owned. �Performance is definitely first with us. At Taylor Made, our goal is to have our products perform at the highest levels with the greatest satisfaction, for both Tour players and consumers. The fact our teams have worked just as hard ensuring that the products are pleasing to the eye, that�s just another point of pride,� Moody said. They are pleasing. So much so, when my father saw them this early spring, he wanted to go out and try them � and it was only 30 degrees outside. Not sure how much performance would�ve been generated under those conditions, but the clubs would�ve looked nice. I personally have been using the RAC LT�s that Moody described above. I selected them because of my swing speed � though I maintain average scores, the speed I generate wouldn�t fit the HT, and I personally prefer the smaller head of the LT to the OS, having grown up with tiny forged blades. The results have been pleasing � just the performance the Taylor Made people have promised. They�re as forgiving as any iron set I�ve ever used, and the forged heads provide that oh-so-sweet feeling when I�ve managed to hit the sweet spot. One thing I haven�t really noticed, despite employing the LT (low trajectory) model, is just that� a decidedly lower trajectory. I still hit a nice high ball with them, like I always have with any clubs I�ve put in play. �A lot of it has to do with the golf balls in use now � very few people play the old soft balata balls anymore, so the golf balls are getting harder, with less spin. That�s in conjunction with people wanting more distance from their drivers, so they�re requiring a harder golf ball with less spin, which will increase your distance and accuracy. The same principle applies with irons,� Moody instructed. 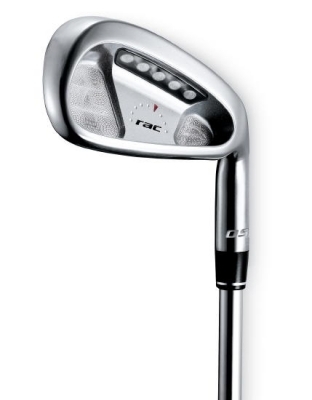 Accounting for the difference within the RAC family, you can hit lower shots with the LT, if you choose to � much more so than with the OS and HT models, where the center-of-gravity is placed farther back in the head (designed to get the ball in the air). These clubs have a pre-determined high shot. �With the LT being more workable, you can use it to hit a variety of trajectories. The name sets it apart from the other two � but just because it�s called �low trajectory� doesn�t mean you can�t hit it high and land it soft. It�s exactly what better players are demanding, which is flexibility on how to play a shot.� Moody said. �The HT is a different animal, because it�s not intended to catch a ball in a descending fashion. So you need to create spin a bit differently, by placing the center of gravity farther back and lower on the club head. The HT also performs well with balls that generate spin, such as the Pinnacle, Noodle, or Nike TA2 SPN � two piece balls that spin,� Moody expounded. 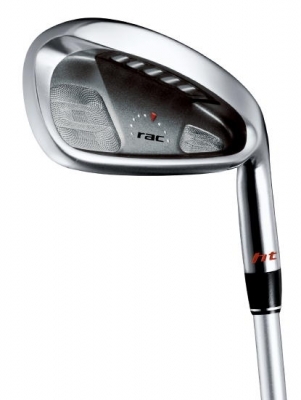 Though I don�t think you�ll see the Taylor Made RAC irons (or any club, for that matter) as the final leg in the journey to perfection, it�s certainly a worthwhile answer to some of your inconsistency problems. 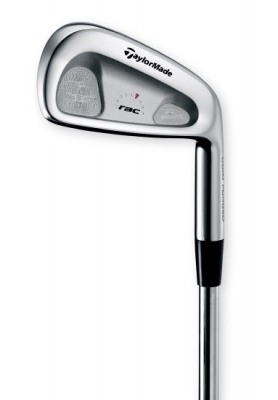 I�ve never been dissatisfied with any Taylor Made product, and the RAC irons are well up there with the best in the premium club categories in your local golf shop. If you�re thinking of making the investment in new premium irons, give them a try, along with some of the others � find the best ones for you. Then let the sound do the talking � and be prepared to listen. Check out more information about Taylor Made products at: www.taylormadegolf.com. Taylor Made became famous for pioneering metal woods, but the company now produces everything from metal woods to wedges to putters. And since joining with Adidas, don�t forget footwear and clothing. Check out the website for more information.